Quantum chemistry--a discipline that is not quite physics, not quite chemistry, and not quite applied mathematics--emerged as a field of study in the 1920s. It was referred to by such terms as mathematical chemistry, subatomic theoretical chemistry, molecular quantum mechanics, and chemical physics until the community agreed on the designation of quantum chemistry. 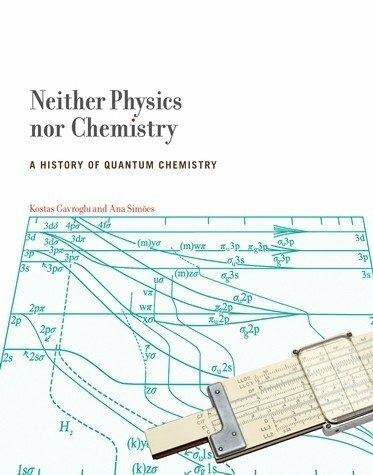 In Neither Physics Nor Chemistry, Kostas Gavroglu and Ana Simões examine the evolution of quantum chemistry into an autonomous discipline, tracing its development from the publication of early papers in the 1920s to the dramatic changes brought about by the use of computers in the 1970s. The authors focus on the culture that emerged from the creative synthesis of the various traditions of chemistry, physics, and mathematics. They examine the concepts, practices, languages, and institutions of this new culture as well as the people who established it, from such pioneers as Walter Heitler and Fritz London, Linus Pauling, and Robert Sanderson Mulliken, to later figures including Charles Alfred Coulson, Raymond Daudel, and Per-Olov Löwdin. Throughout, the authors emphasize six themes: epistemic aspects and the dilemmas caused by multiple approaches; social issues, including academic politics, the impact of textbooks, and the forging of alliances; the contingencies that arose at every stage of the developments in quantum chemistry; the changes in the field when computers were available to perform the extraordinarily cumbersome calculations required; issues in the philosophy of science; and different styles of reasoning.